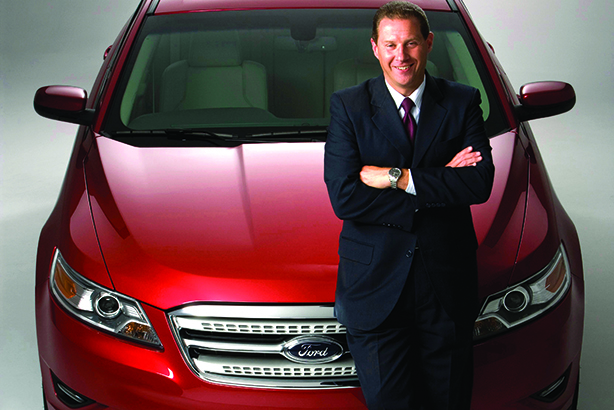 Group VP, communications, Ford Motor Co. I had no intention of dropping to "number two" after leaving General Motors as head of global communications in 2011, but I jumped at the chance to work with Ray Day at Ford. The automaker’s resurgence from the recession was no accident. Having studied its turnaround like a master’s science class while navigating GM’s reputation from the mire of bankruptcy, it was clear Ford’s recovery was most directly attributable to the brilliant plan and model that Ray initiated. From his integrated agency and corporate team model, to challenging conventional industry thinking, to his relentless pursuit of innovation in storytelling, Ray’s approach was more enlightened and creative than anything I had ever experienced. He possesses deep business acumen and understands what creates value for all the automaker’s stakeholders. He is focused, driven, and never tires. The confidence he has from Ford’s leadership and CEO Mark Fields are enviable. I learned as much in three years working with Ray as the previous decade at GM. He is a true visionary in the communications profession.